Purchasing blister packaging equipment is a costly investment requiring long production runs. Fapco offers a lower volume blister packing alternative. Fapco’s blister packing machine is well-suited for shorter runs, making blister packaging an option for lower-volume products and start-up situations. Contact Fapco today to explore blister packaging as an option for your product line. Blister packaging represents one of the most widely used packaging methods. It is utilized for packing countless items and furnishes a number of advantages, including ease of printing and ease of access to contents. There are a number of design options available with the blistering process. A “face-seal” seal blister is where the plastic is created with an outer flange which is sealed using dedicated sealing “nests” that press heat in the flange area to activate the glue on the blister card which secures the blister and the product to the card. The blister card, which is made of SBS and is a rigid substrate (has an industry standard thickness of .020”) can be used to merchandise products vertically by incorporating a die-cut hang hole (often referred to as a “Sombrero” because of its shape) into the top of each card. Another option of carded blistering is the “Trap” blister. This is where one fold-over blister card or a two-carded solution will “trap” the flanges of the custom blister in-between the cards to give the overall package a cleaner, more finished look. Formed plastic packaging has a bad reputation in some circles, due to the amount of plastic waste it generates and for the occasional difficulty consumers experience getting to the products inside. 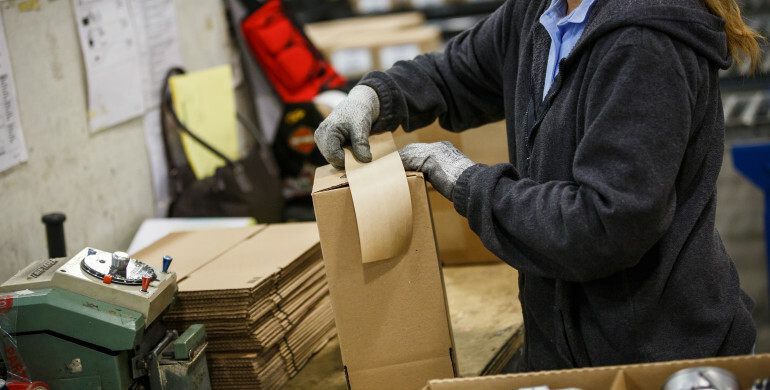 As a result, trending innovations in custom blister packaging include eco-friendly packages that use recycled materials as well as improvements put in place for the benefit of blister pack end-users. Fapco, Inc., is a leader in packaging and parts flow management, and the only packaging partner you need. We are capable of providing you with Aftermarket Kit Packaging Solutions, Automated Parts Kitting, VCI Corrosion Protection Application, Automotive Parts Distribution, Material Flow and Resource Planning, Innovative Shipping Materials, Spare Parts Packaging, Parts Return and Reverse Logistics, Private Label Products, Critical OEM Parts Replacement, ITW Reddi-Pac Packaging Solutions, Cold Seal Packaging, and Just In Time Inventory Warehousing. Your company can focus time, space and resources on your core business, while ensuring the highest levels of support to your customers.